"When I asked for help or asked if anyone was still there, nobody would answer," said Alex. "I felt alone. I felt scared." 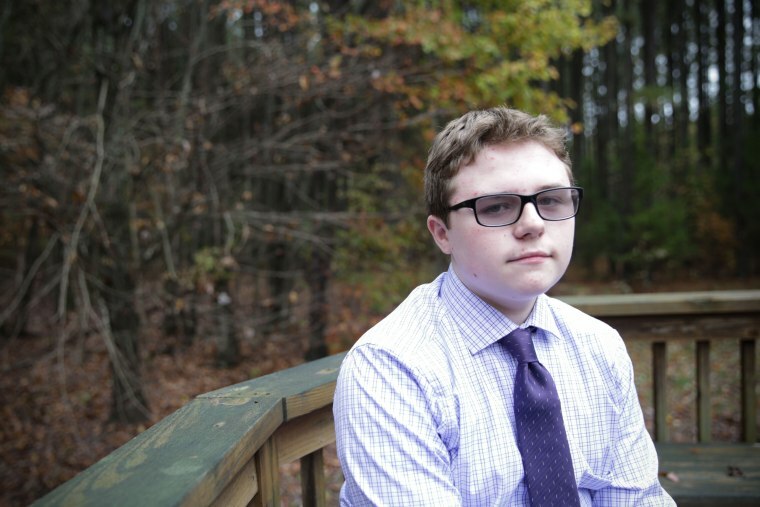 POWHATAN, Virginia — Alex Campbell was just 7 years old when, he says, his principal dragged him down the hall to the school's "crisis room." Administrators reserved the room, a converted storage closet, for children who acted out. He still remembers the black-painted walls. The small window he was too short to reach. The sound of a desk scraping across the floor, as it was pushed in front of the door to make sure he couldn't get out. Alex, who has autism spectrum disorder, says he was taken there more than a half-dozen times in first grade, for behavior such as ripping up paper or refusing to follow instructions in class. The room was supposed to calm him down. Instead, it terrified him. "When I asked for help or asked if anyone was still there, nobody would answer," Alex said. "I felt alone. I felt scared." According to the latest data collected by the U.S. Department of Education, public school districts reported restraining or secluding over 120,000 students during the 2015-2016 school year, most of them children with disabilities. Families and advocates have documented cases of students being pinned down, strapped to their wheelchairs, handcuffed or restrained in other ways. Both practices, experts say, can traumatize children, and may lead to severe injuries, even death. Alex is determined to close the seclusion rooms for good. Last week, the 13-year-old told his story to legislators, congressional staff and advocates to mark the introduction of the Keeping All Students Safe Act, a bill that would bar the use of seclusion and significantly curtail the use of restraints in schools that receive federal funds. No federal law currently regulates the use of such practices on students. "We believe schools should have a safe environment for students to learn and grow," said Rep. Bobby Scott of Virginia's 3rd Congressional District. Scott sponsored the legislation with fellow Democrat Rep. Don Beyer of Virginia's 8th District. "It's a civil rights issue," added Scott, who serves as the ranking member of the House Committee on Education and the Workforce. "Children should not be subjected to practices that are counterproductive, endangering their safety or health." Alex tried to keep the "crisis room" a secret. No laws required school administrators to tell his parents what was happening. Alex says the principal warned him that if he said anything, he would spend the rest of the year locked in the room. But Alex's parents said they could tell something was wrong. They noticed unexplained bruises on his knees. He became increasingly anxious. His father Sean Campbell, who works as a data specialist in a public school system, thought it was especially strange when Alex visited the school where he worked and asked where the children got "locked up." He stopped wanting to go to sleep. "That's when it hit me," Campbell, Alex's father, said. "He doesn't want to wake up because he doesn't want to go to school." "He started babbling like crazy," Campbell said. "'I can't go back to that room. I can't go back.'" The idea of the school not notifying them appalled Alex's mother, Kelly Campbell, who has taught in public schools for 11 years. "If a child falls on the playground and bumps their head, I'm obligated to call the parents," she said. "I've been told that in every school I've worked with. Something like that could happen to Alex, and nobody has to know about it? Like it's some dark secret?" While a landmark piece of federal legislation called the Individuals With Disabilities Education Act, or IDEA, mandates that all students with disabilities are provided with a free public education tailored to meet their needs, regulations governing the use of restraint and seclusion in schools vary from state to state. Many states don't require school administrators to notify parents when their child is restrained or secluded. According to a recent analysis published by the Autism National Committee, only 28 states provide "meaningful protections against restraint and seclusion" for children, including those with disabilities. Curt Decker, executive director of the National Disability Rights Network, said that teachers and administrators are more likely to isolate or restrain difficult children when they aren't provided with training and resources. "When it gets to a seclusion or restraint issue it's obviously a failure of the special education department to meet the needs of this kid," Decker said. "Why does it happen? It happens because of a failure to give support to those teachers. Especially those teachers who are very stressed….They're not getting the training they need." "It has a traumatic effect on these kids," Decker added. "And I think it has a horrible impact on the rest of the kids who witness it." Down a short gravel road, just past a small horse farm, the Campbell house is cradled by a copse of oak and pine trees. The morning before he went to Washington, D.C., Alex perched on the edge of a couch, surrounded by his family, including his 10-year-old brother Jack, who sat cross-legged on the floor of the living room. A team of specialists diagnosed Alex with autism when he was only three years old. Now in eighth grade, Alex — a quick-witted, polite kid with a bright smile — is thriving in his current school. But, he said, it was much harder to control himself when he was younger. He became quickly overwhelmed and frustrated in the classroom. Sometimes he found it difficult to follow instructions. "If you think about the normal kid, like Jack, if he were to act up in class their typical solution is to send them to in-school suspension, or the principal's office," Alex said. "Which typically, for a normal kid, will stop them from acting up. But I guess for a kid with a disability, they can't always control it. They can't just stop when they want to, if that makes sense." Although children with disabilities represent only 12 percent of students enrolled in public schools, they made up 71 percent of all students restrained, and 66 percent of all those secluded, according to Education Dept. data for the 2015-2016 school year. Black students are also disproportionately restrained and secluded. Sometimes, such practices can severely injure — or even kill — the children subjected to them. Leslie Margolis, managing attorney for Disability Rights Maryland, represented a 10-year-old boy with developmental disabilities, who was injured during a 2015 seclusion incident. NBC News agreed not to disclose the boy's identity. Surveillance video captured school staff carrying the boy into an isolation room and closing the door. Ten minutes later, video showed the boy slumped over, in a pool of his own blood. Although a nurse practitioner had issued a written report that seclusion would be "unacceptable and traumatizing" for the child, school staff had secluded him 57 times in three months. When the state Department of Education investigated the incident, it found that staff had noted on prior occasions that the boy had hit his head on the door and tried to give himself a nosebleed. The Department concluded that the staff violated regulations. "The problem is that teachers see seclusion itself as a behavioral intervention, a tool to help kids behave when in fact it's a method of last resort when intervention has failed," Margolis said. "Teachers need more training." In 2014, Brian Long said he received an urgent call from the principal at his son's Kentucky school. Brennan, who has autism, was lying on the floor of his special education classroom, unable to get up. Long said the principal explained that a teacher's aide had physically restrained Brennan, then 16, for acting out in class. Brennan was rushed to the hospital, where doctors diagnosed him with two fractured femurs. Over the next few weeks, Brennan endured blood transfusions and multiple surgeries. He had to go through intensive rehab to be able to walk again. To this day, Long said, his son still suffers from post-traumatic stress disorder. "Restraints are being used as a disciplinary tool," Long said. "Not as way to keep children safe." Kentucky's Child Fatality and Near Fatality External Review Panel, a state oversight committee, concluded that Brennan's injuries were the result of "abuse" at the school. Child Protective Services said it could not substantiate abuse allegations against the aide, but did conclude that he had been neglectful in the way he had used restraints. The aide denies he did anything wrong. Brennan's father said he still feels guilty about what happened to his son. He had no idea, he said, that Brennan's school used restraints. That's something he believes needs to change. "There has to be transparency," he said. "Every school in America that uses restraints — those restraints should be reported every month and there should be accounting, tracking and we should ask, 'Why?'" In Alex's case, a state investigation found that the school didn't violate protocol or his rights by restraining or secluding him. A representative of the school said that the 'crisis room' was removed five years ago. Overall Alex would be subjected to seclusion and restraint, including to the point of injury, over a dozen times in at least four different schools, his parents say, before they found a program that met his needs. Despite the traumatizing experiences he endured, Alex, propelled by some kind of internal pilot light, began speaking out on behalf of other children with disabilities. With his family by his side, Alex lobbied local lawmakers to change laws governing restraint and seclusion in his home state. "Advocacy," his mother Kelly said. "That's his hobby." In between juggling "too much homework," Alex runs his own Twitter feed and dreams of one day becoming a civil rights attorney. For now, though, the middle schooler is focused on starting a local chapter of a national disability rights organization. His most pressing concern, Alex said, are the children who are most at risk, including those who are non-verbal and can't necessarily speak for themselves. While Alex doesn't think the Keeping All Students Safe Act goes far enough, his father Sean Campbell believes the legislation will create a "minimum standard and consistency" across the states. "It should have been done a while ago," Campbell said. In fact, legislators have been attempting to pass variations of the Keeping All Students Safe Act for years. Its current iteration would prohibit seclusion and certain forms of restraint, allowing only for the use of physical restraint in emergencies. It would also require schools to collect data on restraint, and inform parents when restraint is used on their child. Rep. Beyer said he deeply empathizes with the challenges faced by teachers in the classroom. That's one reason why he and other lawmakers felt it was important that the bill include funding to train teachers in de-escalation and positive behavior intervention techniques. "We need to give them much better ways of dealing with the child who is crying or hitting, or is out of control," he said. "Those do exist." Those opposed to the legislation in the past included the American Association of School Administrators, a national professional organization for school superintendents. In a 2012 policy paper, the organization wrote that policy decisions regarding restraint and seclusion are a local issue, not a federal one, and that "AASA believes seclusion and restraint are necessary tools in the toolbox of school personnel to defend themselves and their students from incidents that could be dangerous for everyone who attends or works in a school." A spokesperson for the AASA declined to comment on the latest legislation. "When they say it ought to be local this and local that, they are ignoring the policy," Rep. Scott said. "Why does anybody need the authority to inflict this kind of harm on children?" Decker of the National Disability Rights Network said that while federal legislation is never a magic wand, if passed the bill will be a vital tool for parents and advocates. "We don't have any illusions that a federal law by itself is going to cure the problem," he said. "But that kind of federal consistency across the country gives my people and other advocates something to hold on to, to go to the schools, and demand compliance. It's a start." Early last Wednesday morning, Alex and his family boarded a train bound for Washington, D.C. He wasn't nervous. Maybe it was the music of Cardi B — one of his favorite rappers — blasting in his headphones as the train hurtled toward the capital. Most likely though, it was just Alex. He doesn't get nervous. When he stepped up to the podium and looked out at the 40-odd people who gathered to hear him speak, he introduced himself as a "self-advocate," and began to tell his story in a clear and steady voice. "There was a time when I did not want to go to sleep at night," he said. "I did not want to sleep because I knew I had to wake up in the morning. I remember praying and hoping that I would not wake up. But my prayers were not answered and the cycle continued." "I believe that it is important that we put a stop to restraint, seclusion and abuse in schools," he said. "It can be changed and it needs to be changed." The room was so quiet, his father said, you could hear a pin drop. "Rather than focusing on being a victim, it was shifting that focus to being a champion, to make sure that this doesn't occur to other kids," Campbell said. "That's what he's championed and taken on to say, 'Hey. We've got to stop this.'" 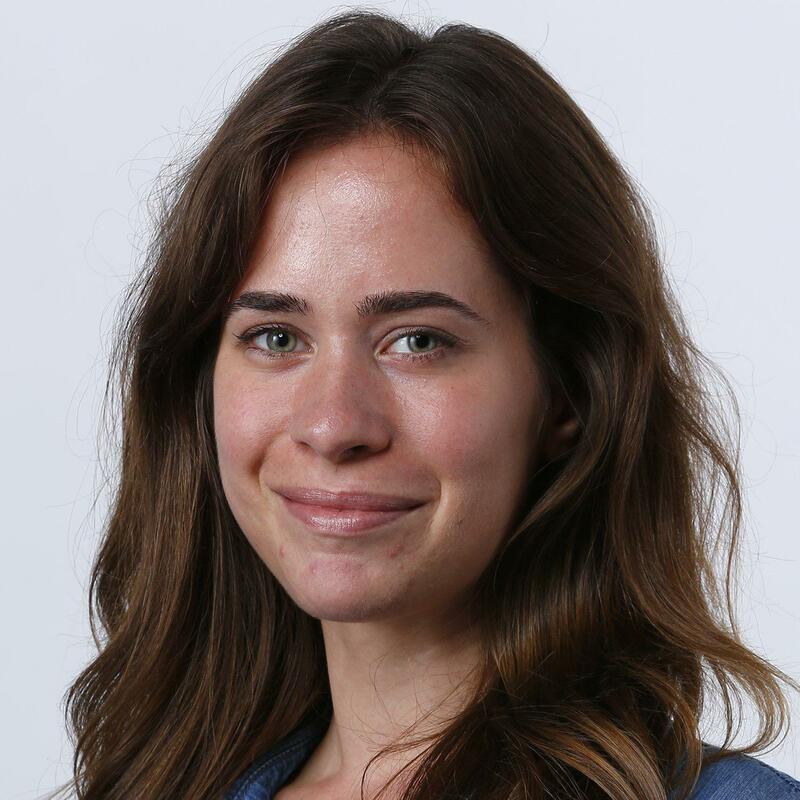 Liz Brown is an award-winning investigative producer for Dateline NBC. Her stories, ranging from an expose of the domestic adoption industry to an interview with 27 of the Bill Cosby accusers, have won her multiple Emmys, Headliner awards and a duPont.